Google's Project Glass is an ambitious take on augmented reality technology, but the company admitted that the futuristic glasses won't completely measure up to their original plans. The video introducing Project Glass to the world showed notifications and other contextual information hovering directly in wearers' sight lines, but it seems the reality will be slightly less exciting. Instead of taking up a wearer's entire field of view, Project Glass will display information "about where the edge of an umbrella might be," a Google spokesperson said. You likely won't want to wear Project Glass in the rain, though. The color graphics shown in the original video may eventually be replaced by a far simpler display, although "it's still too early to know what the functions and UI will be," the spokesperson continued. The spokesperson added that it's the "simple interactions that are making people the most excited" among those who have tried Project Glasses for themselves. A more simple design could make Project Glass safer for pedestrians and drivers and easier to use. 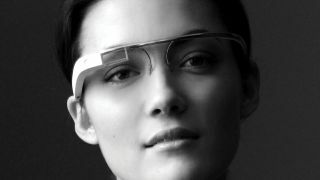 Project Glass's initial design may be less futuristic than was initially expected, but if the facewear catches on then anything is possible for the future. But what do they look like? Oakley CEO Colin Baden previously said that his company has been working on augmented reality glasses since 1997, and he believes that style is one of the most important factors of any wearable technology. To that end, Google filed potential designs for Project Glass with the US Patent Office, providing a glimpse of what future versions could look like. The patents (one, two, three) show the first example of Project Glass for users who wear prescription lenses (the previous designs have all been lens-free). Whether the proposed design appears stylish is a matter of personal taste, though it's likely to change significantly before Project Glass becomes available.